• He always considered himself “a mediator in a baggy black shirt”, attempting to get cases resolved without contested litigation, knowing and understanding the damage done by contested litigation to all involved. But during that time, he also presided over dozens of major injury trials of all types, including claims for compensation due to accidental deaths; In his 20 year private practice before being elected judge, he was one of the prominent personal injury lawyers in the area, handling a variety of injury and death claims, minor injuries and major, death claims resulting from numerous horrid occurrences, prosecuting and defending medical malpractice and injury claims, “both sides of the courtroom” experience. He also presided over numerous criminal jury trials. See elsewhere on this website, his extensive prosecution and criminal defense experience. His massive experience as an attorney in these specific fields enabled him to assist the civil and criminal divisions with major trials, and at the same time, to maintain his own full time family law case load which was known to be “hyper efficient” in getting cases addressed and completed…“the rocket docket”. Judge Nesbitt combined “D.A. retirement” with judicial service time and retired after serving eight years as a full time district judge assigned to the family law division in a jurisdiction of 225,000 people. He returned to private practice in April, 2008, concentrating in family law, injury & death claims, and selected criminal defense cases, the same fields of practice in which he concentrated for 20 years prior to being elected district judge. He has been voted amongst “The Best Lawyers In Shreveport” in SB Magazine’s annual “Best Lawyer Issue” every year since returning to private practice. Before he was elected to the position of District Judge in 2000, “Best Lawyers” in the prestigious “SB Magazine” did not exist. 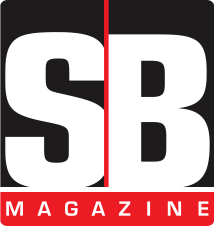 See “SB’s Best Lawyers” article, elsewhere in this website.